AUCTION DETAILS: SN# 31827. Receiver and Barrel have been nickle finished. One of the bakelite knobs on the bolt handle is cracked and missing a piece. Barrel, magazine, and receiver all show matching serial number. Stock has no cracks but does have some scratches and a little paint transfer that should clean off. 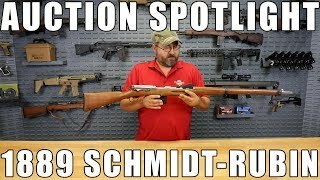 Swiss Made Schmidt Rubin Model SR 1889 Rifle. Due to the early date of manufacture this is considered an antique firearm and as such, no FFL is required. We can ship this one directly to your door. It is in pretty good condition especially considering the age. 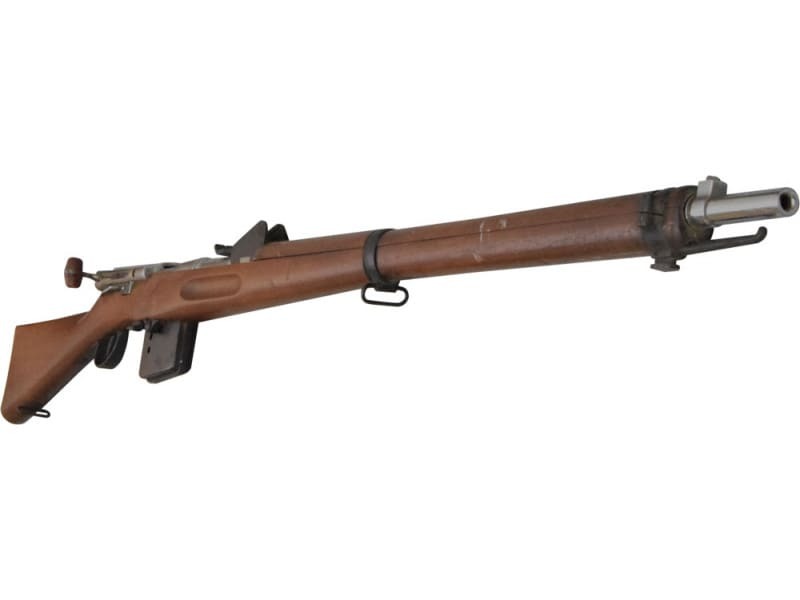 See accompanying video to see rifle. Does not fire modern ammunition - See Brutus description for ammo warning. 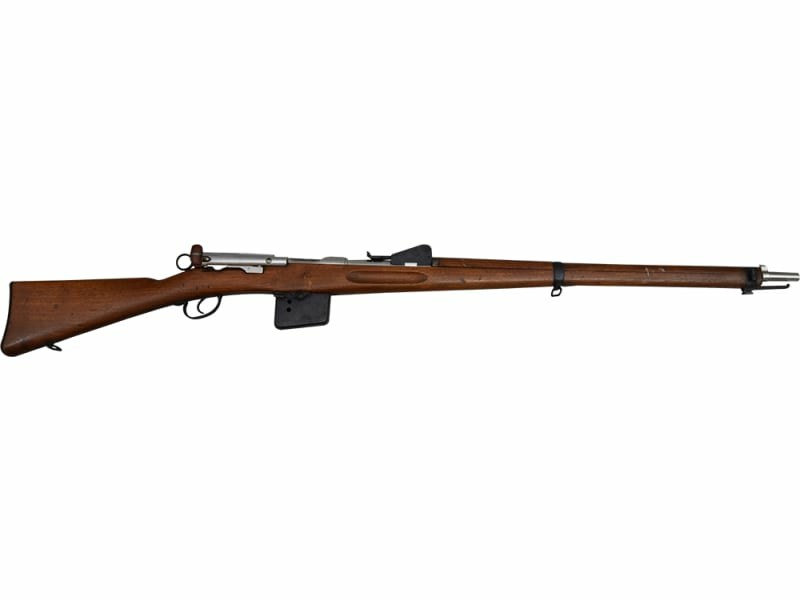 This rifle originally fired a black powder based centerfire cartridge that is slightly shorter than the modern 7.5x55 ammunition. Bolt is not made to withstand the high pressure generated by modern cartridges but many handloaders are still making their own ammunition and claim amazing accuracy with this weapon. Notice: Do NOT load 7.5x55/GP11 ammo into this rifle and fire! It is UNSAFE! 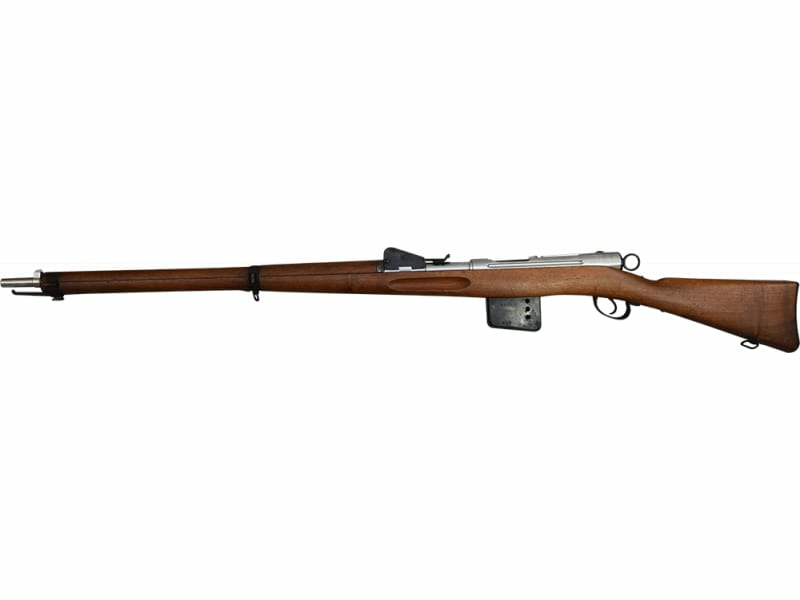 Due to its age this rifle is considered an Antique Firearm and No FFL Is Required for Purchase. SPECIFICATIONS: Overall Length: 51.25"; Barrel: 30.7"; Weight, Unloaded w/out Bayonet: 10.69 lbs; Action: Schmidt Rubin straight pull; Caliber: 7.5 x 53.5 mm Swiss; Sight Type: Quadrant sight graduated to 2000 meters; No FFL required for the purchase of antique firearms. The purchase of this item requires the purchaser to be at least 21 years of age or older. As such No FFL Required. We can ship this one directly to your door.